As Gov. Rick Perry enters the last months of his 14 years in the state's top job, his troubles are piling up and the allies and colleagues who have often rallied to his side are turning their attention to other things. 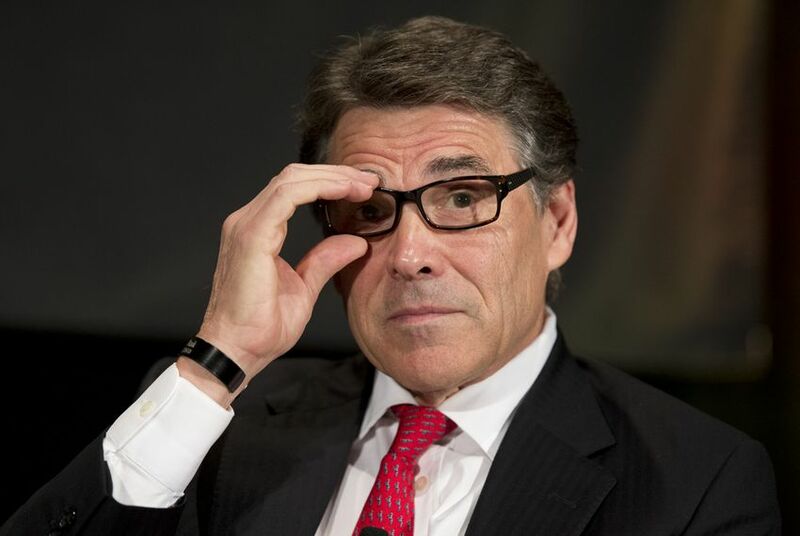 Rick Perry’s protective cloak of incumbency is starting to fray. There is an indictment accusing him of abusing his powers when he threatened the state funding for the office of an Austin prosecutor who was refusing to resign after her arrest for drunken driving. The State Auditor’s Office, an arm of the Legislature, zinged him with a devastating assessment of the signature economic development program — the Texas Enterprise Fund — that the governor has used to build the so-called Texas Miracle that inflated his résumé to the level of national interest. It does not help that fresher faces have arrived to lead the cause, notably U.S. Sen. Ted Cruz, who cut the line of Republican successors two years ago and has become the standard-bearer for the conservative wing of the Republican Party in Texas. Maybe the warranty on the Teflon coating that has protected Perry has run out. After almost 14 years in the governor’s office, he is starting to resemble a lame duck. Perry botched a run for president during the last election cycle and has shown interest in another. He has not declared his candidacy, and says that if he decides to skip the race, it will not be because of a lack of preparation. That is a mea culpa and good camouflage all in one — an acknowledgment that he was not ready for the national campaign he embarked on in 2011 and a cover story for activities that are outside the portfolio of a Texas governor, like going to Davos, Switzerland, for an international economic forum or to Iowa to chomp on corn dogs at the fairgrounds. The Texas colleagues and allies who have protected the governor are starting to pay attention to other things. Intentionally or not, the audit of the enterprise fund landed in the danger zone, within 60 days of a big election, instead of safely after Election Day on Nov. 4 or sometime during the summer, when public attention to state government is low. The timing of his indictment stinks from a public relations standpoint. Perry and his legal and political handlers have done a masterful job of perfuming that, but he still faces criminal charges — unless the lawyers can bat them down — between now and the next presidential election. If he is going to run, an indictment is a heavy load to carry in that race. The audit weighs in at about 100 pages, criticizing the way the administration granted investments from the enterprise fund and the way Perry’s office monitored the performance of the companies in which it invested those public dollars. The governor’s political rivals have repeatedly tried to tag him as a practitioner of crony capitalism, of helping his political friends do well in their economic endeavors. The audit does not say that directly, but an industrious analyst with a copy of the audit and access to the governor’s public campaign finance filings over the past 20 years will find enough material to write talking points for his presidential rivals. It is not just a partisan matter, either. Several of Perry’s past supporters jumped to his defense when he was indicted, but made a point of saying they were not endorsing him politically. The strongest defense of economic development funds in the current statewide races has come from Wendy Davis, the Democrat running for governor. Her legislation resulted in the critical audit, and she is calling for tighter controls over the funds as a result. But while many Republicans are demanding that the state get out of the incentives business, she remains an advocate. Her Republican opponent, Greg Abbott, is more circumspect, saying the state should not be picking economic winners and losers. His is a tricky balancing act. Davis contends that as attorney general, Abbott should have had his eye on the operation of the enterprise fund and other funds. He has not run as a reformer — his party, after all, has held the governorship since 1994. And conservatives in his own party have raised economic and ethical questions about the funds. The governor, meanwhile, does some of his best work when there is a crisis — a hurricane, a flood or a sweeping urban fire. He seems to regain his popularity at times like that. Perry was in Dallas this week for the latest emergency, a confirmed case of Ebola in Texas. Maybe there is still some Teflon left.